SINGAPORE — The CPF contribution rates are more than enough to cover housing, said National Development Minister Khaw Boon Wan today (Feb 23) at a post-Budget dialogue with grassroots leaders. “The extra 1 per cent is a recognition that as population ages, our healthcare needs will grow. Today’s CPF contribution rates are more than enough to cover housing,” said Mr Khaw, who also stressed prudence, noting that affordability is only an issue if one chooses to buy a house bigger or more expensive than what is necessary. Several people had asked why the 1-percentage-point increase in employer CPF contribution rates would be channelled to Singaporean workers’ Medisave accounts and not be allowed to be used for housing. On the sidelines of the post-Budget dialogue, Mr Khaw also said that the Ministry of National Development (MND) will be exploring ideas to expand the Lease Buyback Scheme, which helps the elderly monetise their flats. “I don’t have a solution as yet, but I would like to see what else we can do to help seniors in a big flat move to a smaller flat if they wish to (and put) more money in their pockets. So I’m open to ideas and discussions,” said Mr Khaw. 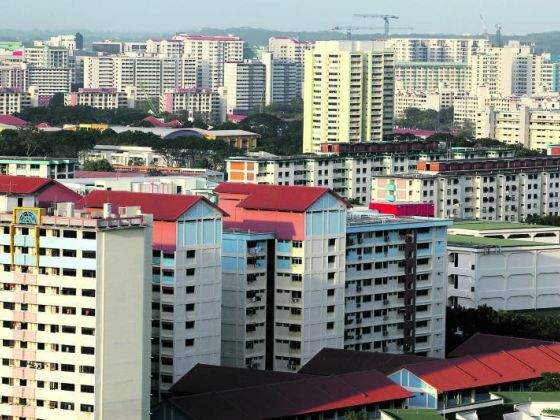 The scheme allows elderly flat owners to sell part of their flat lease to HDB for a sum of money, while retaining a 30-year lease, and Mr Khaw said his ministry is studying suggestions to expand the existing Lease Buyback Scheme to include four- and five-room flats. Currently, only seniors who own three-room flats are eligible. Take-up has been low so far, with only about 240 owners making use of the scheme last year, but Mr Khaw does not see it as a failure. “I don’t regard the low take-up rate as a failure,” said Mr Khaw. “What it means is that people are not financially desperate to need to take advantage of those options, but those options are there for those who need it. More help for second-time home buyers, like divorcees with children and single parents, is also likely to be on the cards, but the MND is unlikely to make any major policy moves with regard to housing in its budget this year, added Mr Khaw. He was responding to questions on what can be expected at his ministry’s upcoming Committee of Supply debate (COS) next month. Ramping up the supply of HDB flats and setting aside more Build-To-Order flats for married couples with children are some of the major initiatives introduced in the last two years to address the demand for flats from first-time home buyers.